Learn secrets of how to garden successfully with Arkansas native shrubs, Tuesday, September 11 at noon at Central Arkansas Library System – Adolphine Fletcher Terry Library (2015 Napa Valley Drive) in west Little Rock. 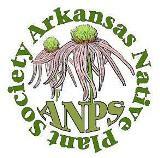 Dr. Eric Sundell, founding member of the Arkansas Native Plant Society and retired Professor of Biology with the University of Arkansas at Monticello, will be the speaker. Bring a sack lunch. Drinks and desserts will be provided. Call the library at (501) 228-0129 for directions or more information. No reservations needed.